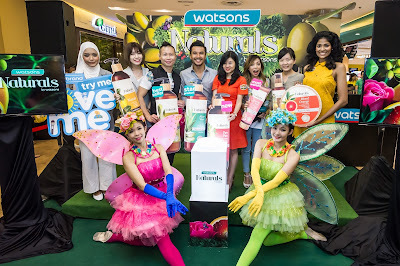 Naturals by Watsons is now back with improved formula and all new packaging. Danny Hoh; Customer Director, Watsons Malaysia, Foo Hwei Jiek; Head of Trading, Watsons Malaysia and Watsons Celebrity Friends. 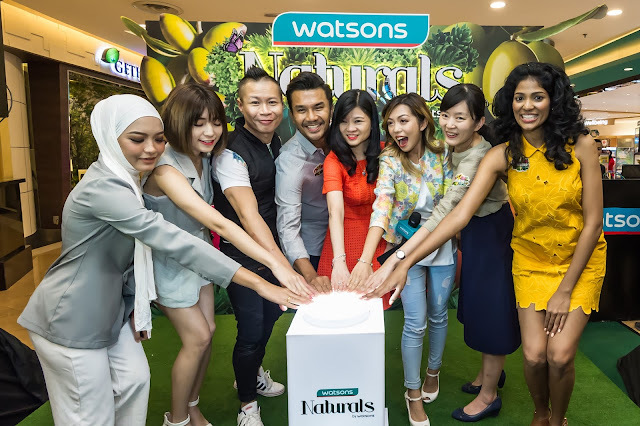 Lee, Caryn Loh, Jenn, Foo Hwei Jiek and Thanuja witnessed the launch of Naturals by Watsons. 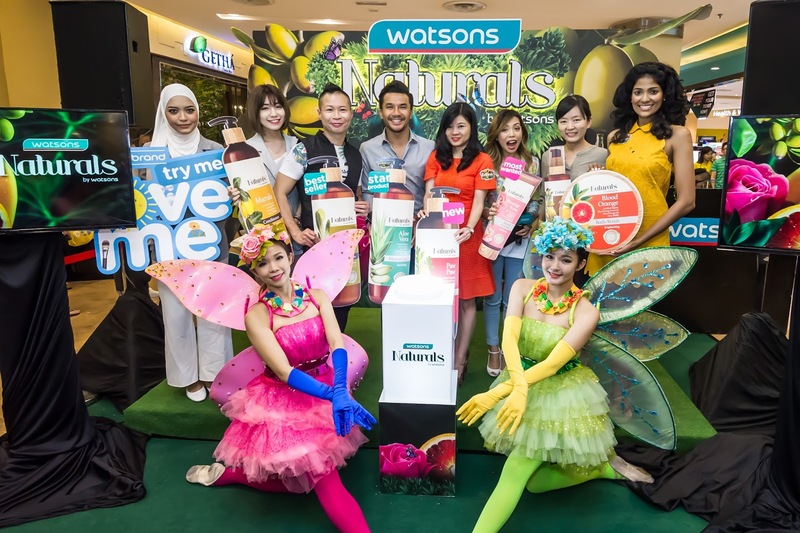 Besides given the opportunity to know the products upclose, Watsons Celebrity Friends none other than (L-R) Thanuja, Arja Lee, Miko Wong and Syifa Melvin shared their personal experience of being Naturals by Watsons' vivid users at the interview session. 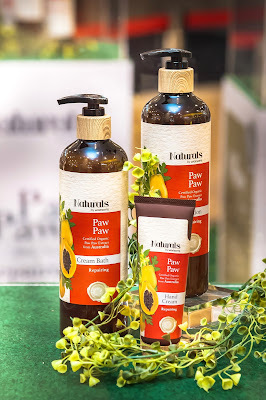 Among the range of hair and body roducts introduced at the discovery forest are Olive, Argan, Marula, Aloe Vera, Prestige Rose, Blood Orange and the new Paw Paw from Australia, which is infused with Vitamin A, C and E to soothe and repair dry skin. I must say Paw Paw has one of the most pleasantly accepted scent by our olfactory system. 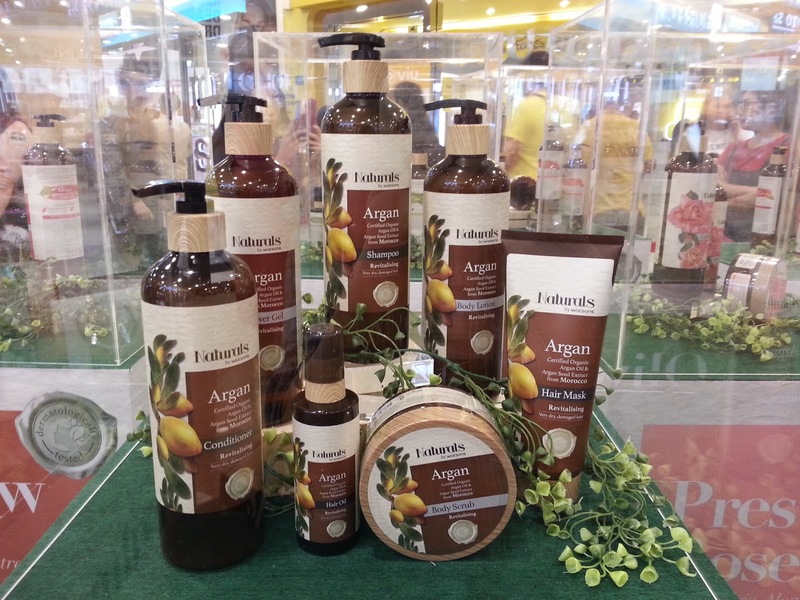 Being dermotologically tested suitable for all skin types and free from paraben, colorants and isothiazolinone (MIT, CMIT, BIT), it is no secret how Naturals by Watsons successfully garnered it's own line of loyal users.